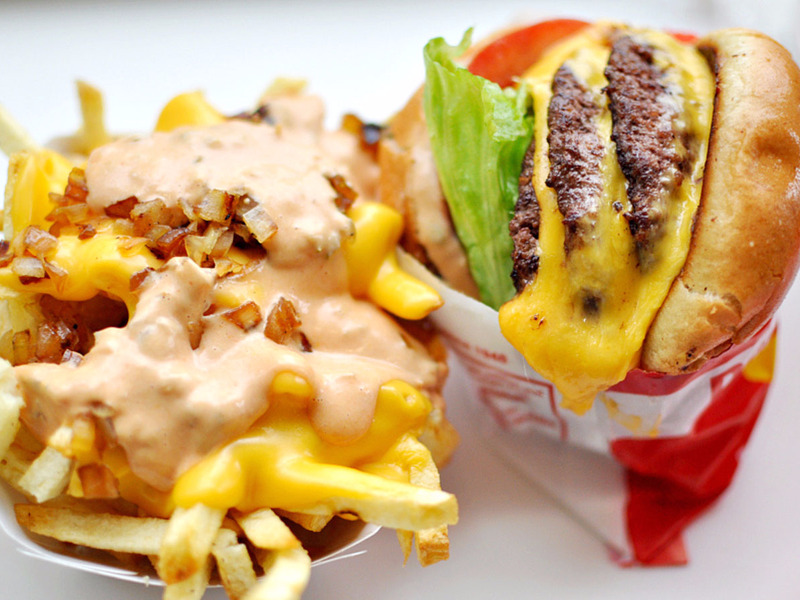 Australians are craving In-N-Out — and now, they’re taking matters into their own hands. A pub in Sydney, called Sir John Young Hotel, has opened a burger pop-up called Down-N-Out that attempts to bring the wonder of the classic West Coast chain to Australia, reports Mashable. Down-N-Out customers can order an homage to In-N-Out’s famous double-double burger, with the option of “tiger style” — a clear play on “animal style,” which adds mustard-cooked patties, pickles, grilled onions, and extra Thousand Island spread. Looking at the burgers, there are a lot of similarities between the original and the homage. However, there are a few differences, according to Mashable. For one, Down-N-Out actually serves up a larger burger than In-N-Out, due to the creators’ desire to serve up a more substantial meal. Another difference is the fries. While In-N-Out has been criticised for serving up fries that don’t match the burger when it comes to quality, Mashable calls Down-N-Out’s fries excellent. Meanwhile, In-N-Out serves up “animal style” fries. Ultimately, Mashable says that Down-N-Out lacks some of the “magic” that makes In-N-Out unique. However, in a country where In-N-Out is out of reach, the ability to get a burger that recaptures even part of In-N-Out’s delicious recipe for success is a major victory. Since In-N-Out isn’t even willing to expand to the East Coast of the US, Down-N-Out is as close as most Australians will get to trying the burger — unless they’re willing to invest in a plane ticket to California.